I love sketching Moon phases and wanted to challenge myself to observe and sketch an entire lunation, weather permitting. The second half of January 2014 was used for practice and the month of February was slated for the actual run. The Virtual Moon Atlas and local weather forecasts were used as planning tools each day. 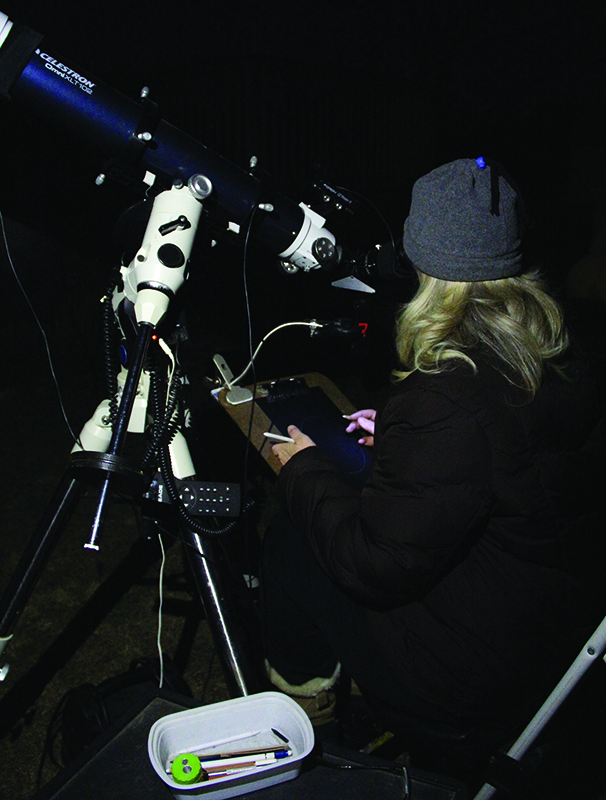 I used a 102mm f/9.8 refractor on an LXD75 mount for all the observations with the exception of the first February sketch where binoculars on a tripod was used. Magnification was 50x and a 13% transmission filter was incorporated for the majority of the observations. The sketch kit consisted of black Strathmore Artagain paper, a white Conte crayon, a white charcoal pencil, a black Derwent charcoal pencil, a black woodless oil pencil, and a blending stump. 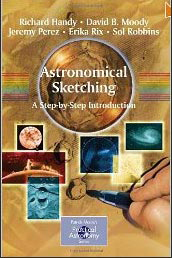 The sketches were scanned and processed in Adobe Photoshop CS6. The animation was also created with CS6. 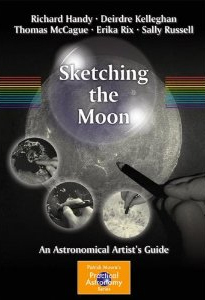 The sketches were flipped and rotated for standard lunar orientation. Gamma correction and exposure adjustments were made to improve contrast and stray markings, along with notations, were removed. ~ by Erika Rix on June 13, 2014. What an amazing project, Erika! I’ve been watching as you posted each one in the series and was hoping for an animation— 🙂 These are all incredible and the compiled result is a masterpiece. Thanks for sharing all your work! Absolutely stunning accomplishment Erika! Masterful sketching and a mind blowing animation. Erika; what a fantastic job. The animation was a great touch. How many hours does it take to each sketch? average.